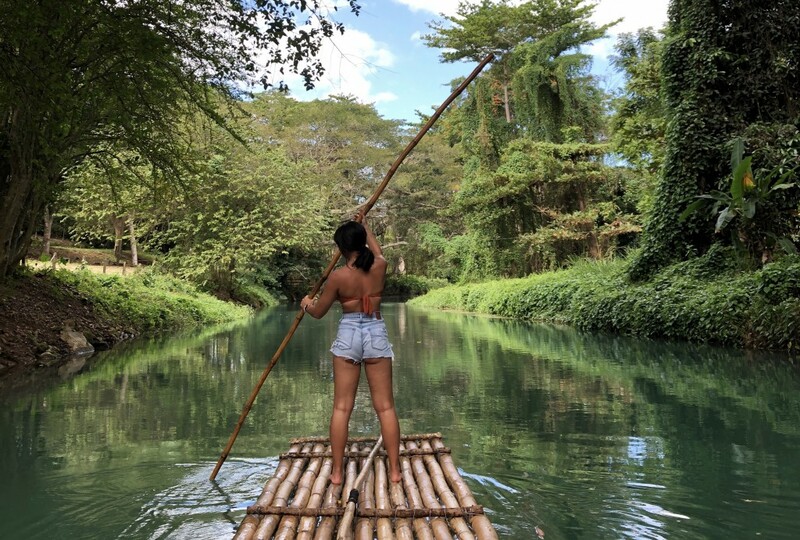 I’ve been on my fair share of resort vacations now and after being back to Jamaica for the second time, I can safely say some of the best adventures are to be had there. 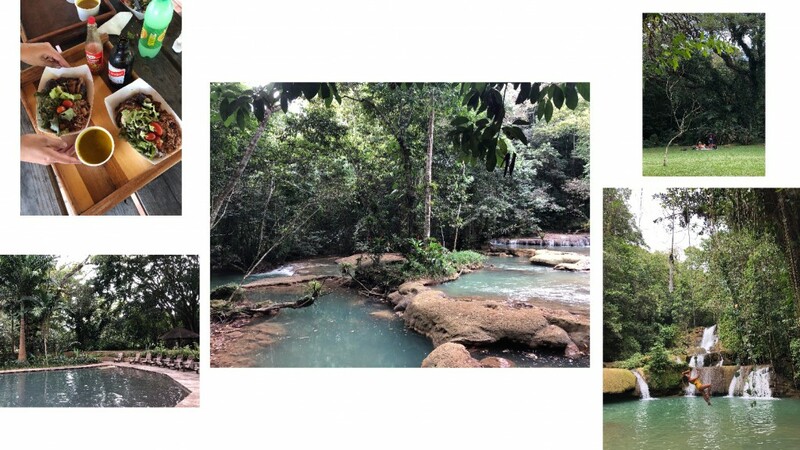 The first time, I was in Ocho Rios and visiting Blue Hole is still a highlight I talk about to this day. Although I also went to Dunn’s River…and as someone with a rebellious streak, that excursion was not for me. 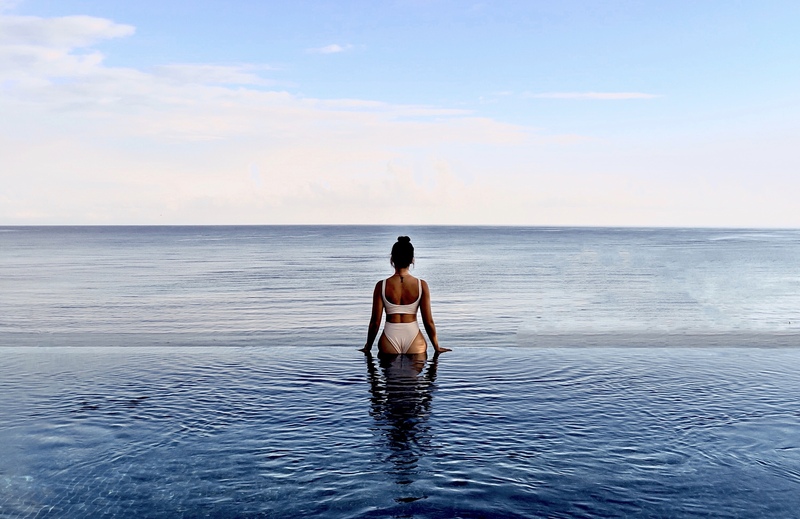 But I have nothing — absolutely nothing — negative to say about any of the experiences we had off Transat’s Luxury Collection resorts in Montego Bay. Dedicated to the world’s first female master blender, Joy Spence, this specific experience may have been opened at the beginning of 2018, but the estate itself is the oldest and most famous sugarcane factory in the country. I’m not a big drinker, but that didn’t stop me from enjoying the welcome cocktail or the estate itself. I LOVE sugarcane, having grown up nibbling on bits of them from my grandfather. And the grounds themselves were beautiful. I suggest in between learning about the process of rum making and the history of Appleton itself, to sneak away for some photos because there are opportunities all around. We didn’t get a chance to go to Scotchies, but I had some of their famous jerk the last time I was in Jamaica and the lunch we had at YS Falls was good enough for me. I mean, you never want to waste a meal when you get to enjoy some incredible dishes at the resorts themselves. In fact, I think the chicken, rice and peas all washed down with some Ting was one of the best meals I had on the trip. After we fuelled up, we immediately made the short trek up to the falls. Absolutely stunning, it thankfully wasn’t that packed and we got to enjoy a Bali-esque photoshoot with a low-hanging rope. But I also made sure to bee-line back to the spring water pool at the base, which was fed by a different source of water supposedly beneficial for all your body’s needs. 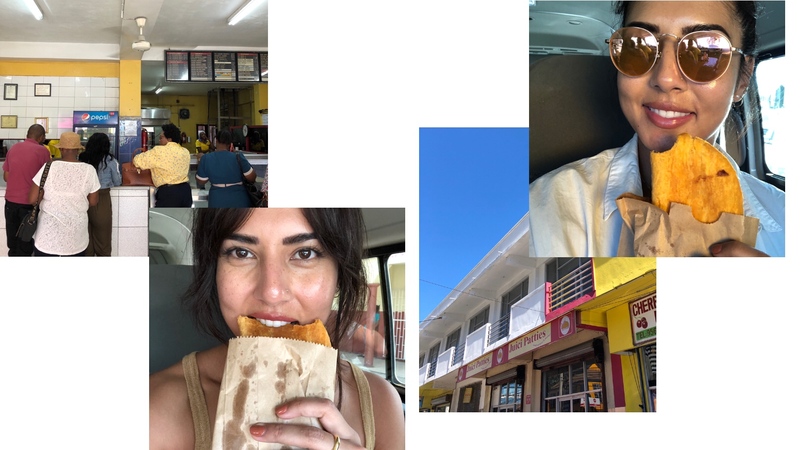 Jamaica is known for two patties, tried and true Tastee and relative newcomer Juici. We were lucky enough to try one from each on our separate excursion days. There were five us in total on the trip, so we decided to turn taste test into a vote. According to our driver, Juici was his favorite. But Krystle our resident foodie and Caribbean expert, was all for Tastee. In the end, Juici won. Three of us preferred the texture of the pastry and the heat of meat inside. Probably one of the best things I’ve ever done, rafting down this peaceful river was a practice in all of the mindfulness Western society has been preaching these last couple of years. Slow, steady and utterly beautiful, it’s something I would do every chance I could get. But make sure to bring a little spending money to walk away with a coconut trinket the rafters sell afterwards to entice better tips. It’s might not seem like a hard job, but it’s an infrequent one. So anything goes a long way. I’ve heard so many amazing things about Jamaica’s famous 7 Mile beach and I wasn’t disappointed. We chilled right by the village at the beginning of it and enjoyed some good food, better music and a lot of tanning before heading to the most talked about spot in the neighborhood. No real tips here because we truly just chilled. We went pretty early to make sure we got a table with a view, so it was pretty tame when we first arrived. But by the time our car pulled around to take us back to the resort, we didn’t want to leave. 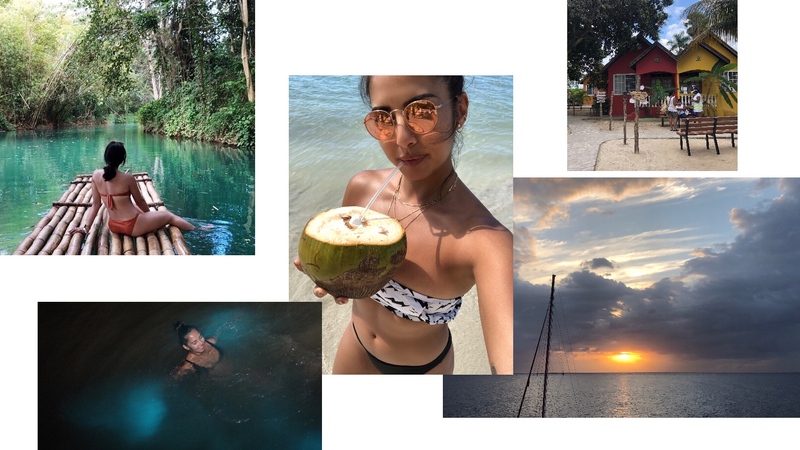 Exhilarated from jumping off of its signature cliff, happy from the rum drinks and moved by the live music, this might be a tourist destination, but the vibe was far from that. This was hand’s down my favourite excursion, and that’s saying a lot. Swimming the luminous lagoon was unlike anything I’d ever done. 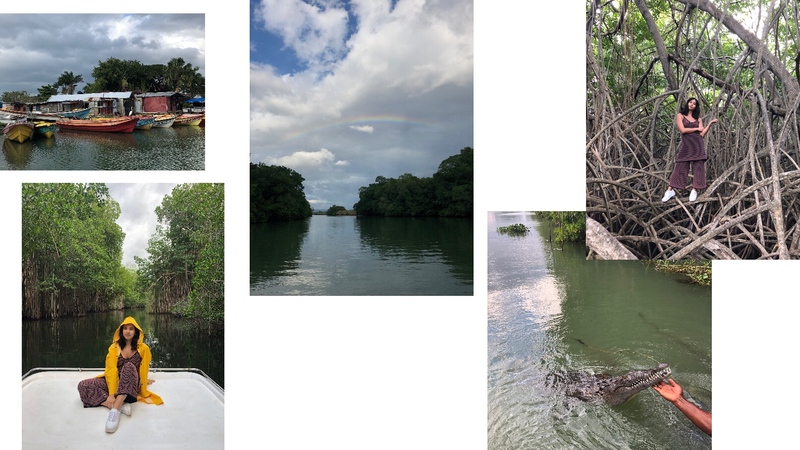 Stretching along the marshlands of Trelawny, I felt like I was on Pandora of Avatar or swimming in the middle of the universe. This natural wonder is “where the Martha Brae River and the waters of the Caribbean Sea meet. The mixture of these two bodies of water create bioluminescence micro-organisms that when disturbed at night glow brightly,” as written on Wikipedia. It was truly magical. 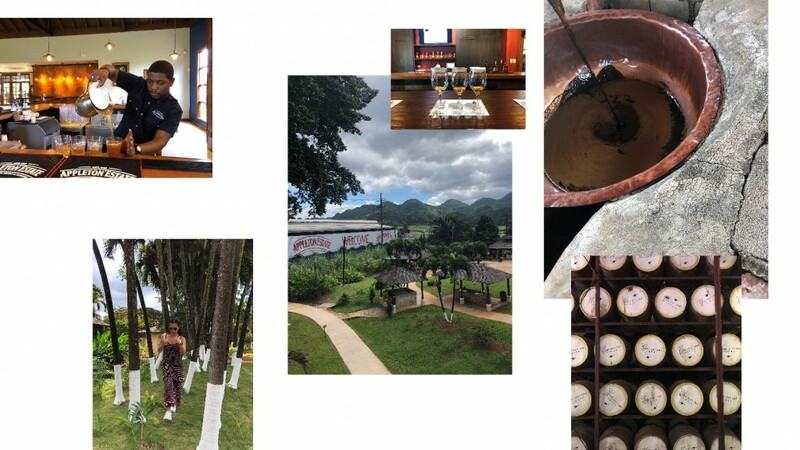 These excursions coupled with our stay at both the Excellence Oyster Bay and Iberostar Grand Hotel made my second trip to Jamaica truly memorable. Transat made the whole vacation smooth from beginning to end, a testament to the company’s devotion not only to its guests, but its partners as well as vacations in general.